H.C. Maxon came to this part of the country in 1886 and settled three miles west of the present town site. Brothers Jap and Willard Senteny arrived about the same time from Bayard, Iowa, and the name of their home town in Iowa was given to this new settlement. It underwent two moves before it settled down to really being a town. 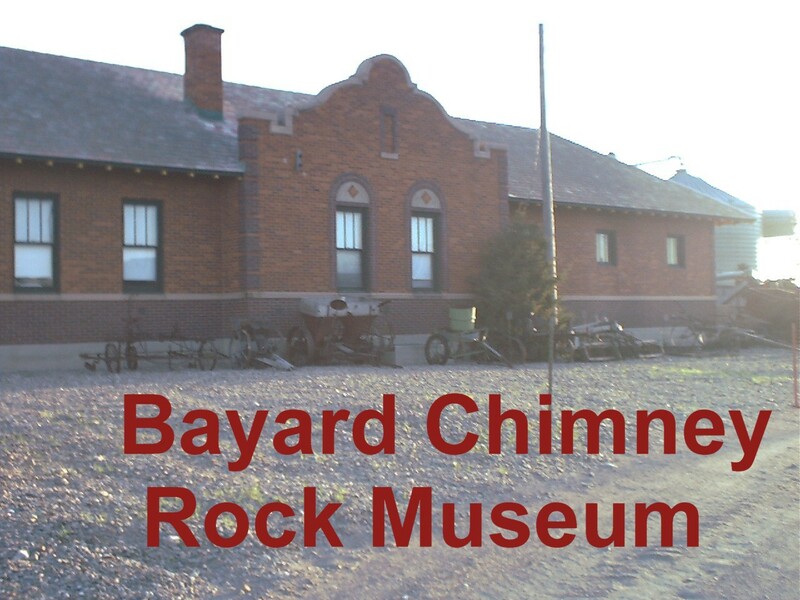 The railroad, 10 years over due, came to Bayard in 1900. The Lincoln Land Company, a subsidiary of the Chicago, Burlington, and Quincy had bought up homesteads and relinquishments from the settlers. The property they purchased comprised of the present town site. This new location marked the end of “old town” and there was a general exodus of businesses to the new and present site. When the new location was established, the Paine Investment Co., of Lincoln took over. They rounded up prospective settlers in the eastern part of this state, from western Iowa, northern Missouri, and from parts of Kansas. Not only transportation was supplied to the new settlers, but also other inducements were offered by the investment company. Trainloads of new comers were welcomed by the town’s brass band. The town of Bayard, with its railroad and its fine new location, was rolling! The name of Durnal has been a familiar one in local history since 1884 when Roszel (Frank) Durnal settled in the Chimney Rock area. Mary Seimiller came to Redington with her parents in 1885. In 1889 Frank and Mary were united in marriage (see the bedroom for a photo of their wedding attire!). Their daughter Alta and son Fred were pupils in the first school in this part of the country (Chimney Rock School, District No. 50). Pioneers R.F. and Mary Durnal deeded a portion of their homestead to the Nebraska Historical Society. 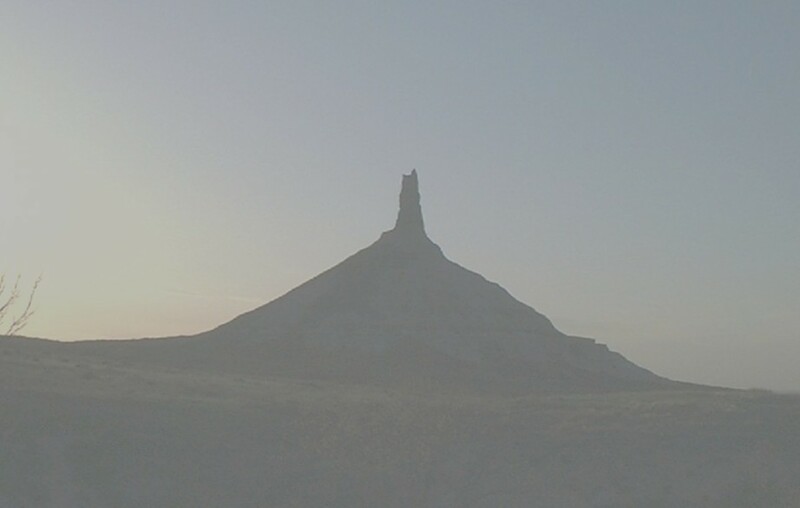 On this land are located Chimney Rock and the natural ampitheatre of the famed “Gift of God Pageant”.